So you want to be a homeschooler, but you have no idea where to start! More than likely, you’ll do what most people do when they want to learn about something. You hop on the internet to find information, but then you’re instantly overwhelmed by all of the information out there. Don’t be discouraged! I know you are thinking if researching homeschooling is this hard, then actually doing it must be even harder! I won’t lie to you, homeschooling is a lot of work BUT it is the most rewarding job you will ever have. Honestly, the time that is put into homeschooling your children will be more than worth it. Don’t fret…I want to help you. I am a newbie homeschooler. You’re probably wondering how a newbie will be able to help YOU….a fellow newbie. Hang tight, I think I can do just that. Although I am only in my second year of homeschooling, I have learned some things along the way. I’d like to share what I’ve learned and hope it is a blessing to you. First, check your state’s homeschool laws. Some states have many requirements, while some states have fewer requirements than others. You are required to know your state’s requirements so that you’ll be able to stay within the law. 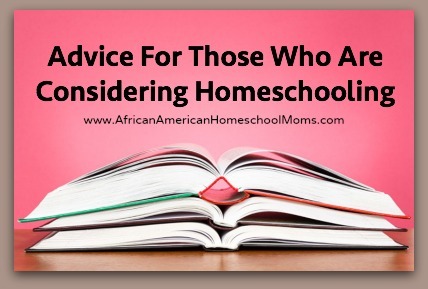 ￼￼￼Second, read books on homeschooling. You may find books in your local library, but if not, you can buy them. I prefer to buy mine so that I can write and highlight in them. The following gives some of my favorite titles. Each of the books is a good starter book with information on homeschooling journey. They are packed with tons of information on learning styles, curriculum, what to teach at each grade level, and even how to create a peaceful learning environment. I own each one of them and love them all. Third, join homeschool groups. This is one of those times where social media is an awesome tool. Facebook is full of helpful homeschool groups. You can even find groups in your area so you can meet other local homeschoolers. Support is a big aspect in the homeschool community. This journey would not be as awesome without the amazing support from other homeschoolers. Finally, breathe! Understand that this journey is a special one, one that will open doors your children would have never imagined. This applies to moms as well. Homeschooling allows moms to learn how our children learn, discover what they like and don’t like about learning, and tweak teaching and learning so they are enjoyable and not daunting tasks. Homeschooling also allows for more family time. Our children won’t be little for long and homeschooling affords us the opportunity to bask in their youth with them while watching them flourish. Don’t let those moments pass you by. Breathe and get ready for an amazing ride! Today’s post was written by Cleveland, Ohio resident Jersey Woods. There she married the man she calls her Angel on Earth and now homeschools their three children who set out daily to give her a run for her money! While they do so, Jersey is working to get the parenting thing down one “oops!” at a time! She is a Jesus loving, Jersey of All Trades! She writes, she blogs, she cooks, she creates! She is a visionary, a foodie, a fashionista, and a rose that grew from concrete. Jersey is on a constant journey to learn and grow while planting what she calls a vineyard of spiritual fruit full of love, joy, peace, long-suffering, gentleness, goodness, and faith. 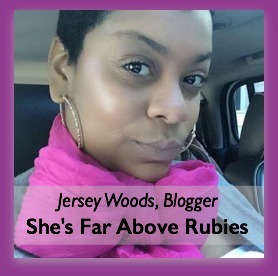 Connect with Jersey at her blog, She’s Far Above Rubies. © 2014 – 2015, Andrea Thorpe. All rights reserved.